Hitting Play on a new Howard Emerson album is like receiving a visit from a favorite old friend, where even the instrumental tunes are like hearing about the places they have been and the people and events they encountered along the way. More often than not, Emerson’s music captures the listener’s attention and pulls them along through plot twists and varying vivid moods, both sober and whimsical, with nothing but his fingerstyle guitar-playing to weave his yarns, and no vocals or accompaniment. That is certainly the case with the opening track of his latest CD entitled, The Wall Talks. The tune is called “Rumble Strut,” and there is an intent and steely determination in the step and swagger of the high-end guitar strings, as they call out over the steady thump laid down on the woodier bass strings. It is nearly impossible to listen for long and be able to keep still whenever the “Rumble Strut” starts playing. Upon hearing it for the first time, I said to myself, “Oh, yeah. That’s the stuff! That’s Howie all right,” filled with his love of the infectious steady groove, punctuated and countered by punchy double stops and chords left to hang in the air; tasty little flourishes of licks at the end of phrases, and the occasional drawn out and bluesy lead run that races up frets, or tumbles from on high to way down below. That introduction very much draws one into the world of The Wall Talks and sets up the rest of the album, which builds on that straight forward guitar playing with more complex arrangements and instrumentation. As usual, there is on display the guitarist’s unusual prowess for “cross tuning”, e.g. composing in alternate tunings, but with the harmonic key of the tune being different than the key of the tuning. Only guitarists might fully appreciate the degree of difficulty therein and Emerson’s ability to make it seem like a walk in the park, or a strut down some vibrant avenue, or the tense treading of some shadowy alley, depending on the specific tone poem. Although he was seen by countless throngs as a member of Billy Joel’s band, back in the day, Howard Emerson is one of those truly memorable guitarists who deserve much wider recognition than they typically receive. In Emerson’s case that may be due in part to the fact he was never a touring recording artist in his own right with a major record distribution deal. But his first CD of solo instrumentals, Crossing Crystal Lake, earned him enthusiastic fans around the U.S. and abroad, among anyone who was lucky enough to encounter it. And the follow-up CD, A Tale to Tell, took those fans into new musical territory, which included Emerson’s singing songs of his own composition, and one righteous cover of Chuck Berry’s “Maybellene” played on a detuned 12-string guitar, with overdubbed bottleneck slide guitar. His third album, It Ain’t Necessarily So, returned to mainly bare bones guitar arrangements, with a bluesy slant to many of the compositions. Other tunes expand upon the R&B multi-instrument arrangements on the second album, with subtle percussion, slap-back reverb effects, and the inclusion of overdubs that allow Emerson to play more than one guitar part, with some amplified bottleneck slide work that at times brought to mind the likes of Ry Cooder and Lowell George. Among these multi-instrumental tracks is the suspenseful drama in Emerson’s take on “Fever,” the steamy Cooley and Davenport standard ala Little Willie John. And the slide work is perhaps most affecting on the album’s lone song with vocals, “Water Off A Duck’s Back,” which should bring a smile to even those who have never experienced the shepherding of a precocious and adorable daughter through the age where she still nestles in the comforting care of her parents, while no longer heeding the bridle of their attempts to rule her whims and will. I remember said daughter from a show Emerson played at Mandolin Brothers many years ago now. Then, she was “just a kid” and he was just starting to perform one of my favorites among his compositions called “Phelp’s Flats,” which he later recorded. And on The Wall Talks he has given the tune a reboot, which is a bit more cheerful, laid-back and spacious than the hard-driving stomp and groove of the original. This satisfying album ends with an upbeat Latin-tinged hip mover called “Uh Oh!” It always leaves me wanting more, and I tend to listen to this CD with Repeat All turned on. It’s upbeat grooves and moving contemplative moments have been a staple of my NYC fitness hikes, and journeys of longer distances, as it accompanied me all the way to Grand Canyon and back. And now, Howard Emerson’s The Wall Talks is getting its official CD Release Party, scheduled for Saturday, October 28th, in Seaford, NY, on the South Shore of Long Island. Search Facebook for “Soundbox House Concert Series” to obtain further information. Rather than dwelling on perfect mic placement and stressing the acoustic aspects of the guitar, etc. he focused on the result he wanted, in terms of what the music should convey. Hence the percussion by Mauro Refosco, and the slinky drum program heard on one tune created by music biz veteran Jimmy Bralower. Emerson’s main acoustic guitar, custom-built for him by David Flammang, does appear on a couple of tracks recorded through microphones only. And he plays it on another track through a Fishman amplifier. He also makes the most out of a National Resolectric guitar heard through a Danelectro amp, vintage 1955. All in all, it keeps things interesting, expressive, and prone to repeated listening. Shocking Proof that Aliens Exist Among Us! 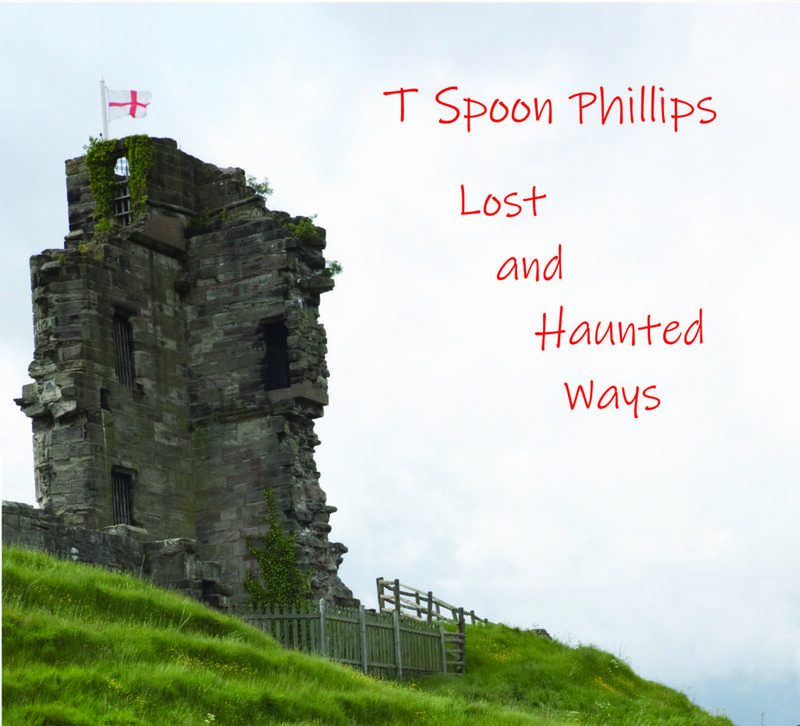 Spoon Phillips is not from this dimension! Secret Russian Video Reveals the Astounding Truth!! Not Suitable for All Audiences!!! seen here enjoyed by indie fingerstyle phenom Jamie Stillway. 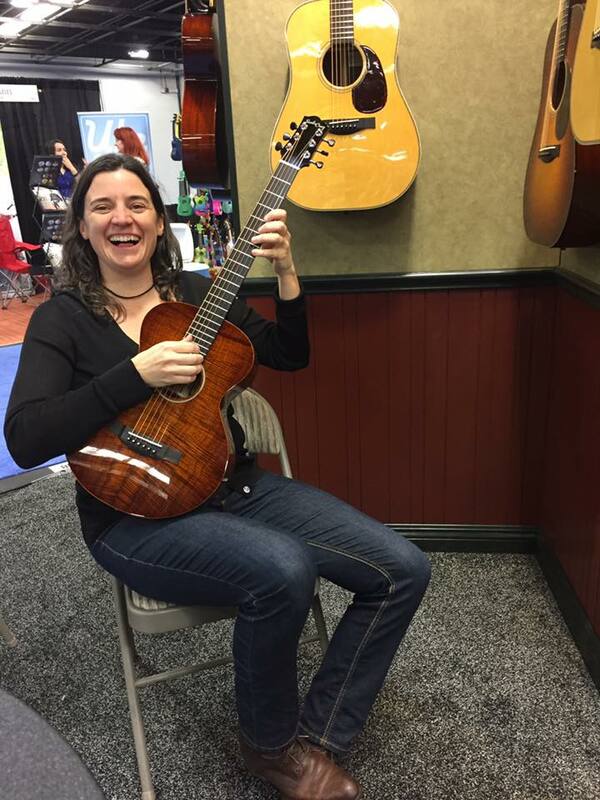 The Brad Paisley B/PW signature model debuted at Summer NAMM. Is a pre-war style dreadnought made with Indian rosewood for the back and sides and a bearclaw Sitka spruce top, forward-shifted bracing and a 1-3/4″ V neck and 2-3/16″ string spacing, and a white calligraphy cowboy hat on the headstock. Scott Law’s D-Law signature model is a mahogany dreadnought with vintage D-28 appointments including diamonds and squares on the fretboard and herringbone trim, a Italian spruce top with tobacco sunburst, Adirondack bracing, hide glue construction. It has 2-3/16″ string spacing at the traditional-looking long saddle to go along with a 1-11/16″ V neck that is slightly shorter in scale (25.25″) from the usual SCGC 25.375″). They have a Bob Brozman Baritone Pro, a 12-fret dreadnought sound monster by any means, this one has outrageously flamed koa rather than the usual mahogany, and a German spruce top. And then it gets really good. While many of the 12 40th Anniversary FTC models have maple back and sides, this one is made with mahogany back and sides, a bearclaw Sitka top, whiteish cowboy rope purfling and rosette, the classic SCGC art deco fret markers set into upper left corners, and replica decco tuners. Each of the 12 guitars has a different styling in terms of toner, sun burst tops or lack there of. And that is just the ones I can remember at the moment.